Dengue fever is the world’s most prevalent mosquito-borne illness, but Alex Nading argues that people in dengue-endemic communities do not always view humans and mosquitoes as mortal enemies. 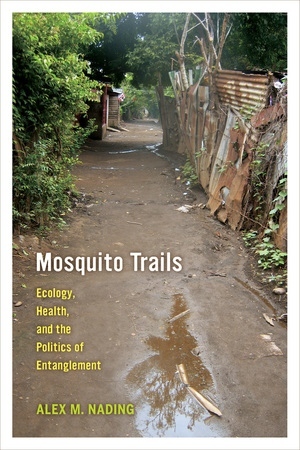 Drawing on two years of ethnographic research in urban Nicaragua and challenging current global health approaches to animal-borne illness, Mosquito Trails tells the story of a group of community health workers who struggle to come to terms with dengue epidemics amid poverty, political change, and economic upheaval. Blending theory from medical anthropology, political ecology, and science and technology studies, Nading develops the concept of “the politics of entanglement” to describe how Nicaraguans strive to remain alive to the world around them despite global health strategies that seek to insulate them from their environments. 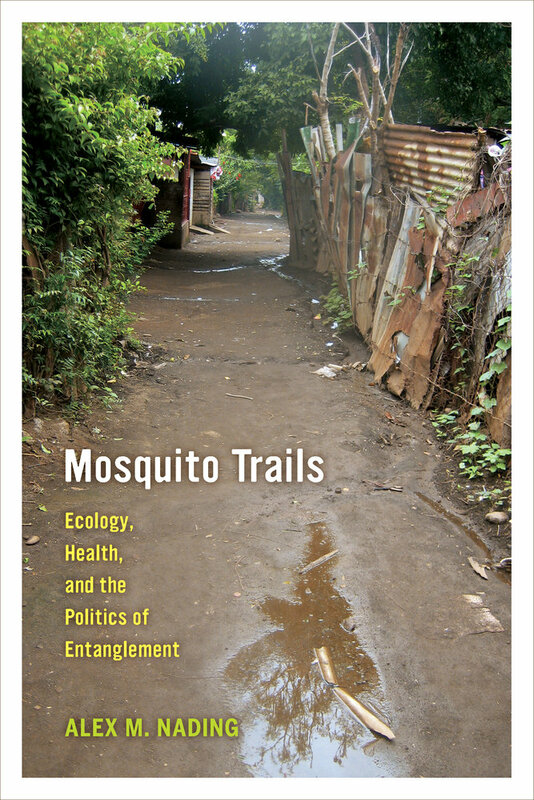 This innovative ethnography illustrates the continued significance of local environmental histories, politics, and household dynamics to the making and unmaking of a global pandemic. Alex M. Nading is Lecturer in Social Anthropology at the University of Edinburgh.